That’s how I’d describe the Reds win over the Chicago Cubs, even though the score was close. The Reds are now 7-3 against the Cubs this year, winners of the last five match ups. 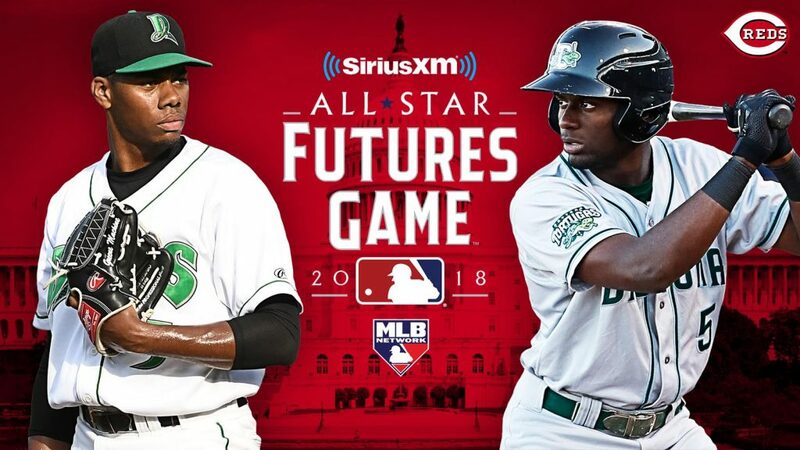 Hello From The Future Reds players Hunter Greene and Taylor Trammell have been selected to participate in the MLB All-Stars Futures Game in Washington D.C. It takes place at 4 pm, Sunday, July 15. Worth mentioning that Nick Senzel would be there were he not recovering from finger surgery. More Reds Futures Game Trivia Can you name (without looking, duh) the four Reds players who have appeared in two Futures Games? The Futures Game started in 1999. Take a look at the Reds early selections. 1999-BJ Ryan, 2000-Gookie Dawkins, 2001-Adam Dunn, 2002-none!, 2003-Steve Smitherman, 2004-none, again! !, 2005-William Bergolla. That’s quite a non-run from 2002 to 2005. Congrats on that, Jim Bowden. While names like Joey Votto, Jay Bruce, Devin Mesoraco, Billy Hamilton and Jesse Winker appear more recently, the Reds have had their share of development misses. 2015-Yorman Rodriguez, Kyle Waldrop, 2012-Kyle Lotzkar, 2009-J.C. Sulbaran. FWIW, Dilson Herrera appeared in the 2013 and 2016 games. I donÃ¢â‚¬â„¢t understand why you would try to bunt the fastest guy in baseball over from first. No outs. 2nd fastet guy on the team batting. Fastest dude in the game on first and we try to bunt him over? I donÃ¢â‚¬â„¢t get that. Just like I donÃ¢â‚¬â„¢t get why you try to bunt a guy over from 2nd to 3rd. I didnÃ¢â‚¬â„¢t understand that move either, especially with the way Perazas been hitting. I had the same thought, but we’ve all noted that Billy isn’t stealing a lot of bases lately, even when he’s on base(and when else would he steal bases?). There is a reason for that, and I don’t know it. Injury? Yips? Strategic decision by Riggleman? Moving a guy from 2nd to 3rd is particularly senseless if the bunter becomes the second out, though there are still a number of ways to score from 3rd that don’t work from 2nd. 10 under. This is turning into a pretty nice run. Don’t mean to rain on the parade, but is anyone else concerned that Iggy isn’t throwing high-octane gas anymore? I hadnÃ¢â‚¬â„¢t noticed. But I was in and out of the room that had the TV. Have you got some numbers? Most of his radar numbers were in the 80s–lots of off-speed stuff. I think I saw him hit 95 a couple of times, but those were outliers. I didn’t see ANY of the high-90s gas he used to throw. Is there a site that tracks pitches and their speeds? Steve links the hitting and pitching data in his game recap. Thanks, Cossack–I’ve never noticed that link. Okay, Iggy was in the mid-90s (94-96), but only 9 times out of 35 pitches. He topped out at 96.2. Don’t I remember him hitting high 90s quite frequently in the past? It was also a bit disconcerting that it took him 35 pitches to get through 5 batters, most of whom were at the bottom of the order. Looked like he wanted to throw mostly soft stuff to the lefties. I think it was a fastball that got yanked out of the park the other night against the Sox. Castillo is down 3 mph. Iggy is down 3 mph. Lorenzen is down 3 mph. Whats going on? I wonder if the radar guns are at a different angle or something? Severino with the Yankees is still at 98-99. That is an issue! Guys like Castillo/Iggy need that 98 to make the offspeed stuff look that much tougher! Maybe MLB monkeyed with the ball this year after last year’s home run fest. The fact that itÃ¢â‚¬â„¢s 3 guys on one team tells me this may be intentional. IÃ¢â‚¬â„¢ve advocated multiple times for this exact strategy. A pitcher should never exert max effort on any pitch. Ever. Perhaps theyÃ¢â‚¬â„¢ve been instructed to throw at 85-90% effort. I know thereÃ¢â‚¬â„¢s a linear relationship between velocity and effectiveness, but at what cost? Assuming itÃ¢â‚¬â„¢s intentional, IÃ¢â‚¬â„¢m happy to see it. “The only time a pitcher should throw his maximum fastball is when he needs to put somebody away. He should throw a couple of mph slower than his max. That is a pitcher. Not a thrower. ” -Pedro Martinez. And that quote is from one of the greatest pitchers of all time. A nice endorsement for that strategy. Of course, the emphasis then becomes movement and command. Iggy has both and should benefit from this approach. Castillo and Lorenzen? Well, let’s just say they have work to do. They both seem capable but the command especially has a ways to go. Yes, I still remember an article that was written about Johnny Cueto having an “epiphany” while watching Mike Leake pitch and realizing that Leake was getting people out with pitches slower than the stuff Cueto was throwing. After that, Cueto stopped trying to throw every pitch through a brick wall, and suddenly Cueto the “pitcher” was born. 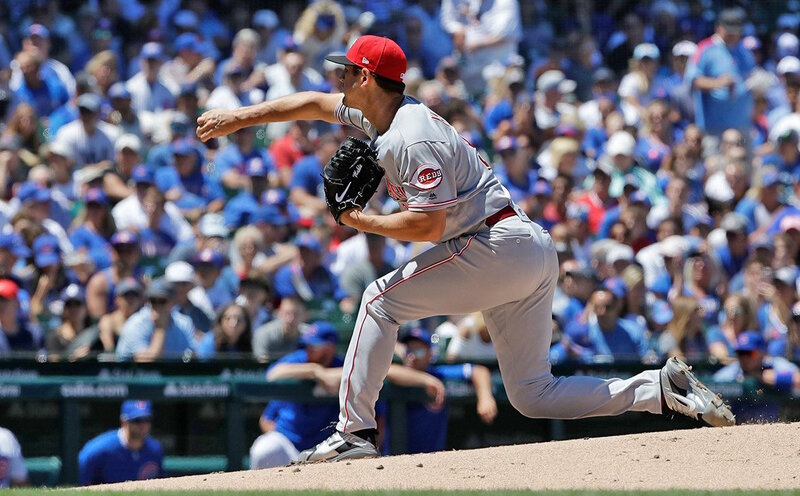 Haven’t heard anything from Castillo or Iggy, but Lorenzen said earlier in the year that he was learning that he didn’t have to throw as hard as he can to get guys out. Seems to be by design for him. His fastball is only 1 MPH off though the cutter and slider are both about 2 MPH slower. I was more concerned with my blood pressure. He made the game too exciting. Mahle leads rookie pitchers in Wins and games and IP. He’s taking multiple steps forward. Let’s get Stephenson in the rotation and Luis Castillo going again.. Danny Darwin deserves a tip of the cap. Congrats to the Reds for overcoming some historic futility. Really improved 25 man roster. Mahle is going to be tremendous, if he’s not already. He looks confident and calm at all times. Not afraid to come inside, pitch high or low, excellent control. As you say, if we can just get Castillo back to where he was last year and I agree about Stephenson as well. I am a huge Mahle fan. I saw him pitch several times last year in Pensacola. I could tell he would be a good to great major league pitcher. He was much better than Stephenson. No comparison. Much better than Reed also. That would be a terrible mistake by the FO. And if he is and we keep winning, is it still a terrible mistake? So in your mind he gets no credit for turning the season around and will get all the blame if they regress and lose. Is winning now becoming a problem? I do believe we’re 36 & 34 with Mr. Bunt. Just let the young guys pitch.Get Bob on the next bus. Remain calm. The Reds have a rotation. For as long as they have a decent rotation, they can win as many games as any other team in this division. Yeah, they can. Harvey and Disco have provided what Homer and Finny didn’t.The young guys will get better.Mahle we can say is the real deal and not just because of today.Castillo is oh so close to being what we think he can be and its all about getting over the hump of that one inning.Sal is in the same boat but the data shows tons of pitchers struggle the third time through the order.I will take 5 innings and would like 6 every game and keep us close.That’s good enough and as Bouwills says will win some games.Offense is close and if Peraza and Billy can get that OBP up to 320 or better and keep it there we get better. Scooter takes on O-fer, but scores 1 and drives in another of our 3 runs. I wish they still used the game-winning RBI stat….he’d get that. He’s just a strong offensive player and they need to pay him already!! Shoulders take a long time to heal. Whatever is wrong with it probably can’t be fixed without significant time off. It will probably bother him all year and most likely prevent a trade from happening if it is injured. I went three years with my shoulder injury before getting surgery. It never really got worse, but occasionally I did something just right and I was in pain for awhile. The only relief was to avoid using it. Mine was a torn labrum and I couldn’t throw properly, but was still able to lift weights and do jujitsu as long as I was careful. 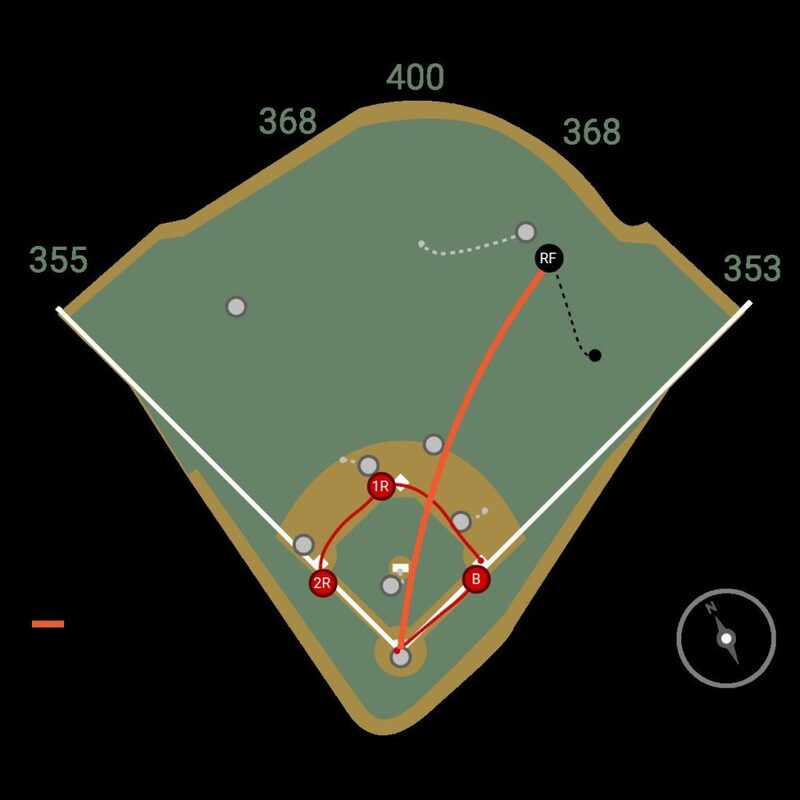 I figure the reason Scooter took the “sure out” at 1B in the 9th was because he didn’t trust himself to make an accurate, quick, hard throw to 2B to cut down what was the potential tying run. Also looked like he didn’t really cut loose on a couple of those missed DPs. I can’t stand when a manager micromanages the bullpen. I hate 1 batter pitching changes. Good win though. Agree. Riggleman is driving me crazy. He must think he’s Sparky. I thought he should have left Mahle in to begin with. Then I thought he removed Lorenzen too quickly. All worked out though, so what do I know. You realize what you just wrote right? :o) Oxymoron comes to mind. I had the opposite reaction. I liked his aggressive management of the pitching. He was managing to win, it seemed, and possibly sending a message to the pitchers. Things are running very smoothly right now. It will be interesting to see what happens between now and the trade deadline. If trades are made, I hope it’s for players that can contribute this year. I hope they trade to improve the big league club instead of trading for Ã¢â‚¬Å“prospectsÃ¢â‚¬Â that are in the low minors or for marginal players in the high minors. Agree with you Dewey. They need to receive players that are major league ready. At this rate Milton is doing to demand a trade to a team that will use him. We don’t ever need to see his ugly face in Cincinnati again. Milton must have been in D.C. last night. The Marlins were up on the Nats 9-0 and ended up losing 14-12. Not to be a jerk but Waveland and Addison both run East and West.You probably mean Clark and Addison. Waveland is the street that homers to left field land on. Nice to get this road trip off on the right foot. Nice outing by Mahle. It is amazing how far he has come in a short time. He has by-passed every young pitching candidate. He is #1 among the group. Reed, Stephenson, Finnegan, Romano, Garrett (as a starter), and even Castillo are in his wake. Castillo and maybe Stephenson might be able to catch up. This time last year Mahle had only been in AAA for a couple of weeks. He just keeps progressing. I can’t wait to see what kind of pitcher he will be in a couple of years. Mahle is the best Reds pitcher I have seen come through PensacolaÃ¢â‚¬â€period. I donÃ¢â‚¬â„¢t think any of the others can catch him at all. A big one-run win in front of a full house of Cubbies at Wrigley. How sweet it is. Not sure why some of you are complaining about Riggleman. What’s he done wrong lately? Okay, he calls for the bunt too much but besides that, we’re winning! Let him manage. For me, and I only speak for myself, but I not only think Riggleman calls for the bunt too much (which he does) but also that he micro manages the bullpen too much (granted most of his decisions have worked out but the question is will the law of averages catch up on him, but also he has insisted on keeping this 4 man outfield rotation going, and he has not done it by playing righty versus lefty and lefty versus righty but is a slave to the idea that today is this guy’s turn to sit or play and that determines the lineup he chooses. You can play one defense first player but it is hard to get a maximum lineup with two offensive holes in it. Duvall average and OBP is well below Winkers and Winker, despite the fact that Duvall has more HRS has a higher slugging percentage now than Duvall. Schebler and Winker should both start most days if not everyday. Play Billy or play Duvall but not both. Riggleman is much better than Price but then that was a pretty low bar. 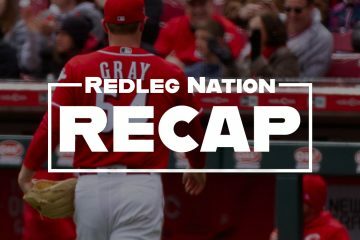 So do the Reds still trade for prospects or go for it NOW? 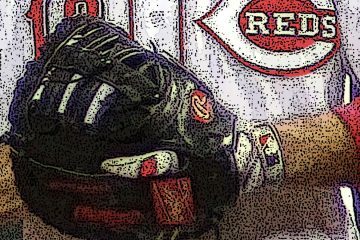 As much fun as it is to watch the Reds now and contemplate what could have or might have been, their chances to make the wild card are prohibitive and even longer for the division. This said, the primary return on deadline deals they make should be talent which will impact at the MLB level no later than next year. They’ve already got the likes of Huntrer Greene, Taylor Trammell, Johnathan India, Mike Siani et al populating the lower and mid ranges of their minor league systems now. They should be looking for finishing pieces, not true prospects. Go for what? They’re 10.5 out of the 2nd wildcard with 6 teams in the way. Running Bailey and Finnegan out there to go 1-16 in their starts sunk their boat. I’m just enjoying beating the Cubs! If they keep the key guys together and improve the pitching then next year will be interesting! I don’t count on them making the wildcard this year, but teams have, I’m pretty sure, made up more than 10.5 games in half a season. Live in the moment. Right now the Braves are the 2nd wildcard team and are on pace to win ~91 games. 4 teams are less than 5 games behind them. It is hard to foresee a set of circumstances where the required WC win total falls to the mid 80’s. The Reds have to win 46 of 74 (.621 winning %) just to get to 85 wins. So, the Reds would need a truly historic run and some help in the form of several teams collapsing to catch a sniff of the WC. The chances of those collapses are diminished by the Braves playing in the division with the 2 worst teams in the league; and, 3 of the teams closest to them playing in the NL West and thus a collapsing team in that division would mean more wins for another WC contender.